Most of us probably know the importance of sleep, but getting good quality sleep can be tough. But don’t fret: you can get better sleep with a few changes to your daily routine! When was the last time you had a great night’s sleep? Most of us know the importance of good sleep, but actually getting plenty of good sleep seems to evade some of us. Whether it’s stress, hormones, blue light from electronics, or caffeine, there are plenty of things out there that can keep us awake at night. For people who workout regularly and put time and intensity into their workouts, good quality sleep is even more important! If you’re working out hard, but not getting the quality or quantity of sleep you need, then you are cheating yourself out of reaching your fitness goals. It is difficult to meet your fitness and health goals without proper sleep. Your body needs sleep when you’re under physical stress from exercise. But you don’t have to settle for bad sleep! If you are generally healthy but still struggle with getting good quality sleep, don’t worry: you can get better sleep with a few changes to your daily routine. Remember: if you have chronic and recurring problems sleeping, always talk to your doctor to check for underlying health conditions. I’m sure we’ve all heard about tryptophan, the amino acid blamed for post-Thanksgiving sleepiness. But many other proteins contain tryptophan other than turkey, and tryptophan can help improve sleep. Eating some tryptophan-rich proteins before bed can provide enough tryptophan to help you sleep a little better. In addition to proteins, carbohydrates are great before bed. In spite of the claims that eating carbs at night will make you fat, eating some carbohydrates before bed can actually help you sleep better since carbohydrates make tryptophan more readily available to your brain (source). Obviously when I say “before bed”, that means 2-3 hours before bed (not right before you hit the hay). If you eat too much too soon before bed, you definitely won’t be sleeping well, no matter how much tryptophan you got in your meal/snack. And (bonus!) you’ll not only sleep a bit better, you’ll also be fueling your body for your next workout. Proper nutrition can make or break your fitness goals, and that includes how your diet affects your sleep patterns! L-theanine is a naturally occurring amino acid that can be found in black and green teas. 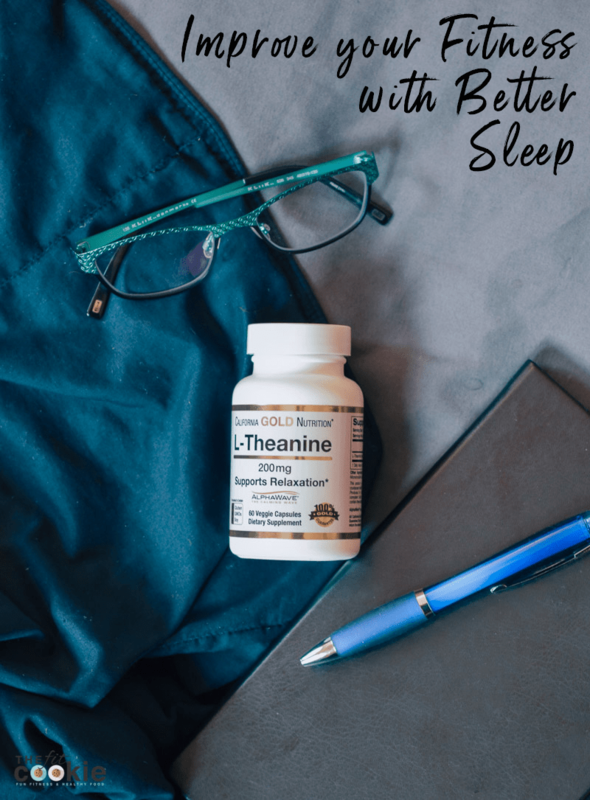 Studies have shown that L-theanine can help with sleep, relaxation, and even counteract the negative effects of caffeine on sleep (source). 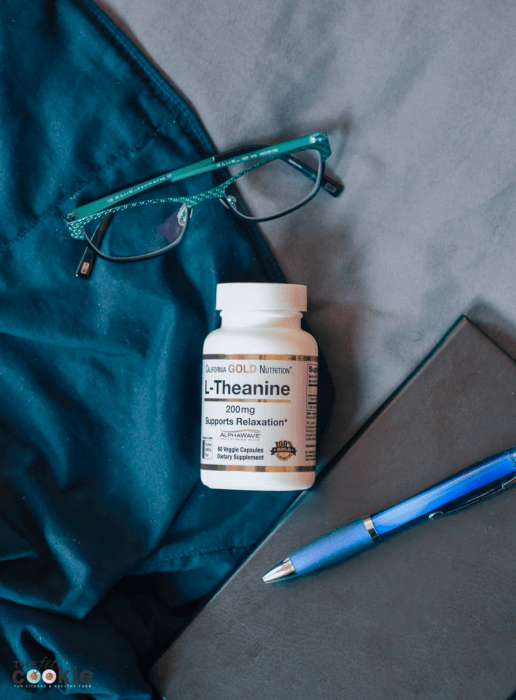 Not only has L-theanine been proven to help with sleep, it can also help with anxiety and sleep quality in children with ADHD (source). Standard dosages are 100-200 mg and are safe and have very few side effects, but higher doses (like 400+ mg) can have sedative effects (always make sure to talk to your doctor before taking new supplements!). Studies have also found that the combination of caffeine and L-theanine (like the natural combination in tea) produces calm alertness and focus without jitters that can often happen when you have too much caffeine. 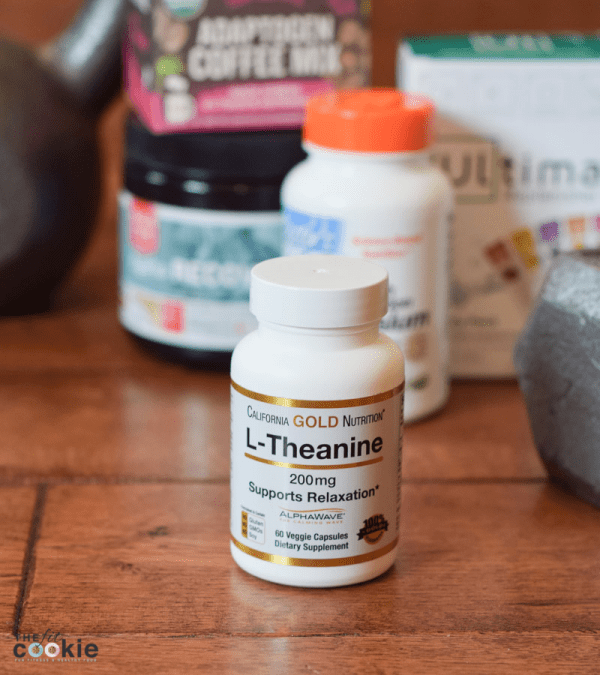 Since I can’t have a ton of green tea myself (I’m sensitive to green tea extract), I like the California Gold Nutrition L-theanine from iHerb. I struggle with anxiety and jitters from caffeine, and it helps with both! Even though it can take 5 hours for 50% of caffeine to clear from your body, the other 50% can sometimes take 8 hours to 2 days for caffeine to completely clear out from your body, depending on metabolism (source). It’s a good idea to avoid anything with caffeine in it after 2-3 pm so you can wind down for sleep properly at night. If you workout in the evening and like to have a pre-workout or coffee before your evening workout, then you might want to rethink your strategy. Keep tabs on the time that you are using your pre-workout caffeine and cut back on it (or eliminate it) if it’s keeping you from sleeping well. And watch out for those drinks labeled decaf! Some of them still contain varying amounts of caffeine unless it says caffeine free on the label. A 12-ounce cup of decaf coffee can still have anywhere from 18 to 40 mg of caffeine in it, so it’s best to avoid decaf coffees and teas before bed (herbal teas and coffees are usually caffeine free, but check the label). 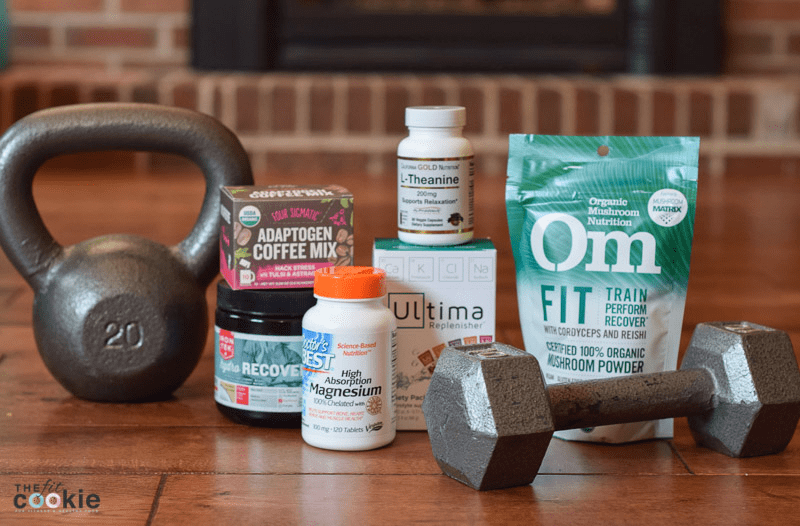 Whether you’re working on improving sleep with L-theanine, or rehydrating after workouts with Ultima, iHerb is a great place to get products that support your fitness and health goals. iHerb has over 30,000 products, so you’ll likely find some of your favorite products at their online store! Live outside the US? No problem! iHerb ships to over 160 countries and they have customer support in 10 languages. Ultima Replenisher Variety Pack: my favorite electrolyte powder, it’s sugar free and well balanced. I’m taking this with me to Haiti! Order your favorite products from iHerb! All Customers get a discount off their iHerb order and new customers can get an additional $5 off their minimum $40 order by ordering here! We all need this. Healthy lifestyle= good night sleep.